Trinamool MP Sudip Bandopadhyay has got a conditional bail in the Rose Valley chit fund case while Tapas Pal still remains in jail. Sudip Bandopadhyay was arrested in the Rose Valley chit fund case in January this year. 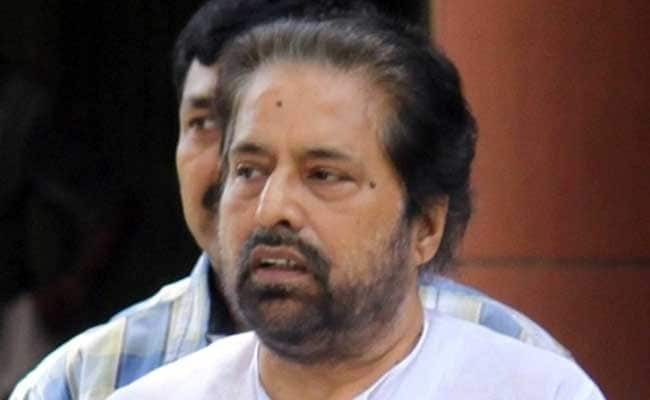 Kolkata: Trinamool lawmaker Sudip Bandopadhyay has been given conditional bail by the Odisha High Court in the Rose Valley chit fund case for which he was arrested in Kolkata in January this year. The bail comes as huge relief for the Trinamool which is holding a core committee meeting in Kolkata today. "Investigative agencies are being used for political vendetta by the ruling party," said Trinamool MP Kalyan Bandopadhyay, reacting to the order. Sudip Bandopadhyay's wife, Nayana, who is a Trinamool MLA, said, "I am happy he has got bail. I am worried about his health. I have to now plan his further treatment. I shall seek the party leadership's advice." Another Trinamool MP, actor Tapas Pal, also arrested in the same chit fund case just a few days before Mr Bandopadhyay, is however still in jail and lodged in a hospital at Bhubaneswar. Mr Bandhopadhyay has been set three conditions for bail. He will have to pay a bond of Rs 25 lakh, hand over his passport to CBI and refrain from exercising any influence on the investigations against him. One of the CBI's main arguments against bail for Mr Bandopadhyay was that he was a person of influence. He is the leader of the parliamentary party in Lok Sabha. Mr Bandopadhyay is expected to be released in the next couple of days.